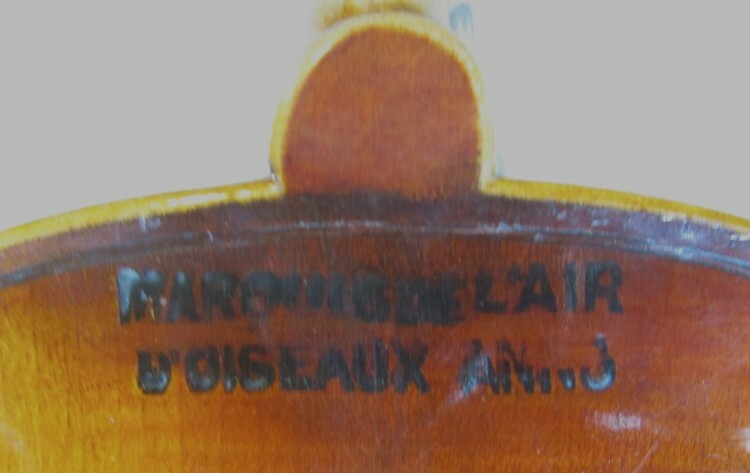 Early to mid 20th century French violin labelled Le Marquis de l'air d'oiseaux Anno xxxx, and stamped Marquis de L'air on the back, below the button. 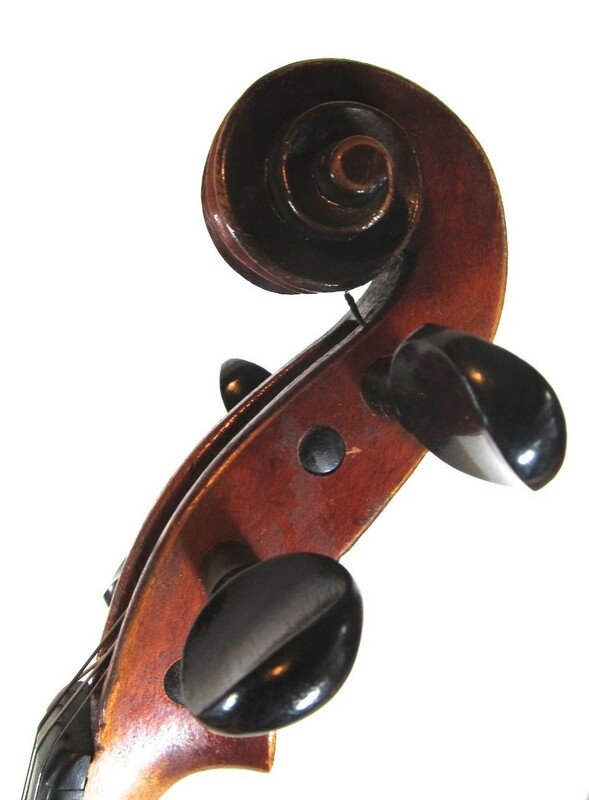 This was a mark used by several of the Mirecourt workshops, and the quality can vary considerably. 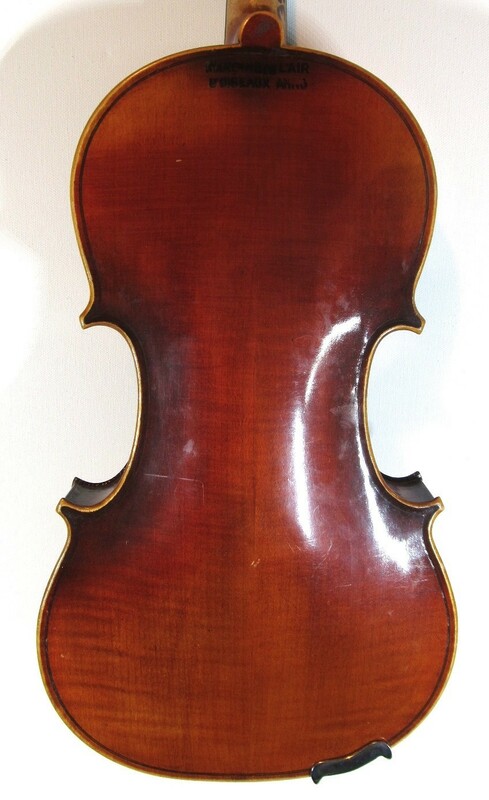 This one is very well made, with characteristic red-brown varnish and clean workmanship. 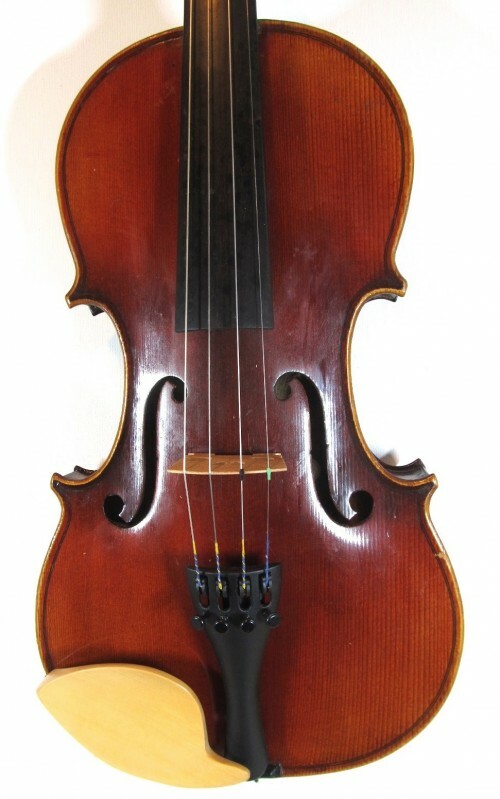 The sound is pleasing - very smooth, warm and sweet. Condition: Hardly a mark on it - almost as new. 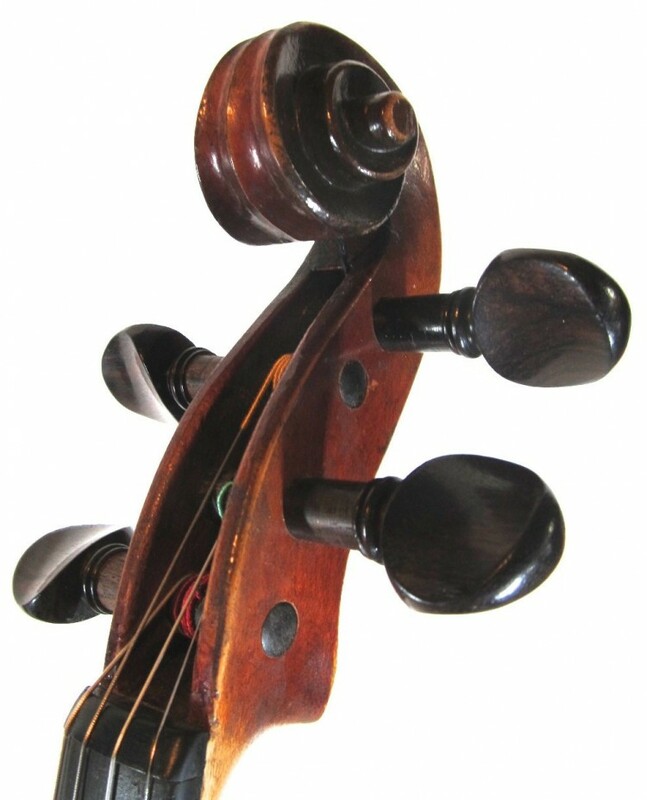 Set-up: New rosewood pegs and boxwood chin rest. New soundpost and Aubert bridge. New Helicore strings and Wittner tailpiece.